Classic charm with modern upgrades! New vintage designed LP Smart siding and steel roof! New windows! New boiler! 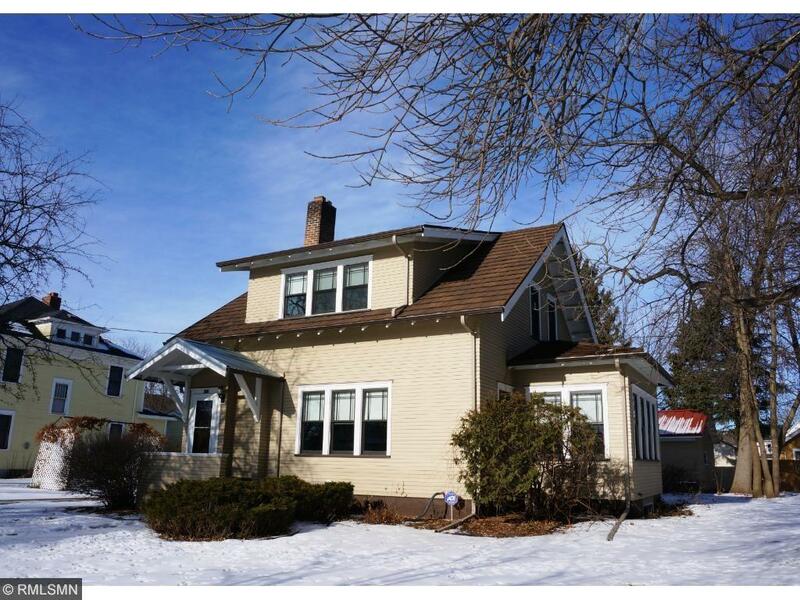 Original maple woodwork, oak floors, cabinets and built ins.Living room accented by fireplace. Dining room has full wall buffet and original swing door! Two glass-paned doors lead to four season porch. Huge main floor laundry and mudroom. Family room has an amazing maple ceiling! Walk in tiled, two person shower adjacent to sauna area. Great Cokato location!